Heath Ledger won best supporting actor for his final role as Joker in "The Dark Night" at Sunday night’s Academy Awards. His father, Kim, mother, Sally, and sister, Kate, accepted the award on the late actor’s behalf. "This award tonight …. validated Heath’s quiet determination to be truly accepted by you all here, his peers, in an industry that he so loved," his father said. He would have been very proud. 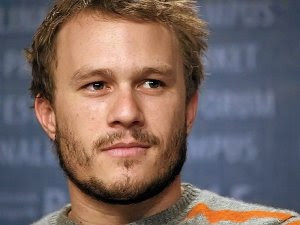 The Australian actor died on January 22 at the age of 28. The cause of death was from an accidental overdose of prescription medications. Ledger’s 3-year-old daughter, Matilda Rose, will eventually keep dad’s Oscar statuette. Matilda Rose is Ledger’s only child with actress Michelle Williams. In recent weeks, Leger has won a series of awards, including a Golden Globe, British BAFTA and a Screen Actors Guild. On Sunday, Ledger became the second actor to win a post humorous Oscar. The first posthumous Oscar was awarded to Sidney Howard for his screenplay "Gone With the Wind." Ledger doesn’t just leave behind friends and family, but millions of adoring fans, who are saddened to have lost such great talent.